You can have a wonderful time in Kuala Lumpur. It is a place that will fascinate you and you will be thrilled to visit it. 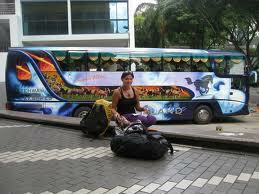 You can start your tour in Malaysia from Malaysian Adventure. You can visit it any time of the day as it is open 24 hours. It is located in a renovated old tin miner's mansion, situated on Jalan Ampang. Another place of interest is the Petronas Twin Towers. They are the two of the tallest buildings in the world standing 452meters at the Kuala Lumpur City Centre development. It has 88 level towers and was constructed 4 years only and has a stainless steel and glass exterior. There is a double sky bridge on levels 41 and 42 joining the two towers. You can visit it from 9-10.30am and 2.30-4pm daily and there is no charge on visiting it. KL Tower has been designed with an Islamic influence. It has got a height of 421metres and is located on the top of a hill giving a panoramic view of the city. You can sit in the revolving restaurant, cafes or public observation deck or enjoy buying gifts from souvenir shops. You can also take an audio tour of the view in every direction In the revolving restaurant you can enjoy buffet lunch and dinner, but you have to wear formal wear for it. The restaurant revolves around every 90 minutes. You can enjoy fashion parades or such thing at the base of the tower. After this, you can visit Batu Caves that is a limestone hill. There is a sequence of caves and temples in caves, located in the Gombak district, 30mins drive north of Kuala Lumpur. The main cave is the most popular Hindu shrines outside India, dedicated to the god Murugan. You have to climb 272 steps to reach it. You can buy beautiful pewter gift items and tableware from Royal Selangor Pewter. You can take a factory tour at The Royal Selangor Visitor Centre. You can see how it is made and then buy a gift from its retail store. The Genting Highlands Resort is a hotel resort, casino and entertainment complex located 30 miles northeast of KL on top of Banjaran Titiwangsa. The casino located here is one of the largest in the world and there is plenty of reasonably priced accommodation in six hotels. The resort has an outdoor family-oriented theme park an indoor theme park, shopping complex and two theatres featuring international cabaret dinner shows and magic shows. There is a golf course and equestrian course. Apart from these there are many other sights to be enjoyed in Kuala Lumpur like the Tasik Perdana Lake Gardens, Firefly Park, Chinatown, Elephant Park and many other places. So there is no doubt that you will have an enjoyable time in Kuala Lumpur.